Vista Shipping Agency was established in March 1993 as a 100 % private company initially focusing on charter brokerage and later expanding into a shipping agency services. Three years later, having gradually developed and expanded the spectrum of rendered services, the Company signed its first full management contract for a vessel with DWT of 1,600 tons. 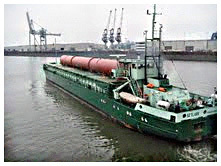 In the following years, the management of vessels with DWT of 1,500 - 1,700 tons became the Company`s main focus area. 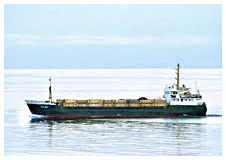 The size of the fleet under management reached 7 units, or 12 when taking vessels under freight management into account. Today, the Company has three vessels under full management. These vessels specialize on the transportation of metals, construction materials, fertilizers, iron ore, and grains between the ports of the Baltic and Northern seas. 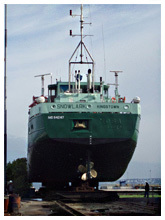 Throughout the years of operation, the Company has earned a strong reputation as a reliable partner and a diligent carrier. The Company is a member of the Estonian Chamber of Commerce since 1995. In 2002, the Safety Management System of the Company was certificated by Lloyd`s Register in accordance with the requirements of ISM Code. In November 2005, the Company moved into a modern, spacious office in an elite part of Tallinn, 200 meters from the coast of the Baltic Sea. The Company welcomes all ship owners interested in full or partial management of their vessels, ranging from full management of an already existing vessel to finding, purchasing, registration and subsequent operation of a specific vessel. Our qualified staff will ensure vessels have a steady stream of work, and a ship owner incurs reasonable running expenses while maintaining the vessel in good technical condition, thus laying the foundation for a profitable operation of a vessel.